The work of Coupdeville Architects is enhanced and enriched by a multi-disciplinary approach that encompasses not just architecture but also bespoke interiors and landscaping. It is this rounded approach that lends the houses and buildings created by the practice a cohesive quality, with each and every element considered in close combination with one another. At the same time an emphasis on context and materiality lends Coupdeville projects a particular depth and warmth, which sits well with their focus on functionality and the specific needs and desires of their clients. Coupdeville’s four principals – Kristian Rapallini, Pravin Muthiah, Jerome Keam and Giles Lovegrove – are friends and colleagues who have known one another for nearly twenty years. 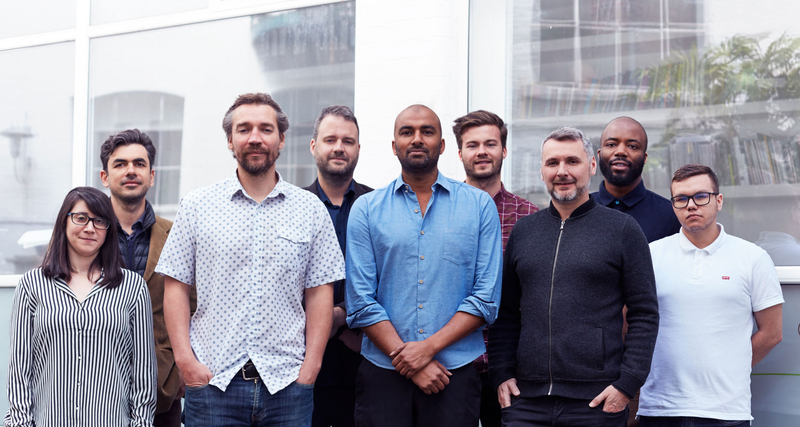 They first met as architectural students and came together to form their own practice in 2007 after valuable experience in a range of other practices, both in the UK and abroad. Collectively, they possess a wealth of experience across residential and commercial projects, including new build projects, conversions and the sensitive update of listed period properties. Their long standing friendship provides a valuable level of understanding between them, supplemented by the skills of their associates in Coupdeville’s two offices in London and Henley-on-Thames. Much of Coupdeville’s work is residential, with a strong portfolio in the fields of single family residences, including an original sequence of new build detached houses. Yet the practice also has a track record in the design and build of apartment buildings, as well as a growing number of commissions in the commercial and retail sectors. The common threads and concerns that span Coupdeville’s work come back to their multi-disciplinary way of working, in which architecture, interiors and landscape are taken together from the very start of a project. The practise is interested in the varying scales of architecture, from door handles to public spaces, and that helps to create something more expressive, complete and liveable. For houses and homes, especially, it gives our projects a more bedded in, natural feel where everything sits well together, from the choice of materials through to the planting around the building. There is an intelligent engagement with the choice of materials, with striking contrasts between more industrial elements, such as concrete and glass and more expressive and organic choices, including timber and brick. This layered, considerate aesthetic gives houses such as Fairfax Road or Hilltop a sense of warmth and welcome. Projects such as Coupdeville’s pool house, The Drive, stress the practice’s ongoing interest in the way their buildings interact with the landscape and their surroundings. Their work embraces both landscape architecture and soft planting, creating a natural synergy with the natural setting. Along with the carefully considered relationship between a building’s architecture and its interiors, this helps to create an immersive and expressive personality for each of the practice’s projects. At the same time Coupdeville has been careful to stress the importance of the needs of their clients, responding fully and sensitively to brief and programme. They see their work as a collaborative process, in which the ideas of their clients play a vital part, adding to the individuality and tailored quality of the completed project. The practice also takes a highly contextual view of every commission, examining in detail the special requirements and considerations of the site and surroundings, whatever the scale of the proposed building. Key influences upon Coupdeville’s principals include the mid century Case Study houses and the work of Geoffrey Bawa, Jean Prouvé and more recently Glen Murcott and Tom Kundig. Such references suggest a rich variety of points of inspiration, as well as a passion for a warm, considerate and thoughtful approach to contemporary architecture and design. Dominic Bradbury is an author, journalist and an expert in the fields of architecture and interior design. His journalism has appeared in publications such as House & Garden, Homes & Gardens, Harpers & Queen, Elle Decoration, Vogue Living, the Daily Telegraph, the Financial Times and the Sunday Times. He has also written many books on architecture, design and interiors, which have been published internationally.